T&D stock Low Voltage Cable Joints to suit the operational and service requirements for all LV industrial cable jointing applications and environments. Low voltage cable joint kit ranges include low voltage submersible cable joints, flameproof cable joints, fire resistant cable joints, hydrocarbon resistant cable joints, LSF cable joints and flexible cable joints. T&D UK distribute 3M Scotchcast LV Joints, CTL Clearcast LV Joints, Prysmian LV Joints, Birkett LV Joints and WT Henley LV Joints - this includes low voltage straight cable joints kits and branch cable joint kits for XLPE, PILC and EPR cables 1.5sqmm-400sqmm. 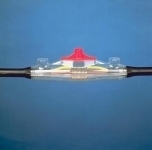 Resin cable joints, heat shrink cable joints and cold shrink cable joints for LV cables are available from stock.